Acupuncture That Works Cheshire › Posts Tagged "auricular acupuncture"
Battlefield acupuncture is a relatively new technique that is already receiving widespread acclaim throughout the military. Developed in 2001 by now-retired Air Force Colonel Richard Niemtzow M.D, and used in Afghanistan, Iraq, this modified form of auricular acupuncture has seen impressive results. In fact, many soldiers in the US military have undergone battlefield acupuncture training so they can use it to treat each other if injured in action. Although developed for the military, battlefield acupuncture is effective in any fast-paced situation where pain relief is needed immediately. Air force pilots have used it to relieve pain, while the lack of side effects often attributed to traditional medicines has meant they can still operate aircraft in dangerous conditions. Battlefield acupuncture employs small, single-use, gold ASP needles. These needles are applied in series, up to five points in the skin of the outer ear. While the needles can remain in the ear for up to two days, patients report that pain relief lasts much longer. MRI scans in Korea have lent validity to the hypothesis that the retention of the needles in the ear sends signals to the healing centre of the brain. While many debate this is how battlefield acupuncture works, the fact that it does work has been widely proven. 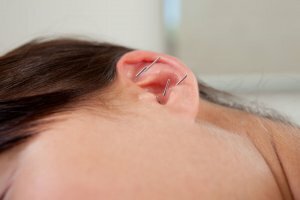 Many patients report significant pain relief within five minutes of the needles being inserted, and while 15% of patients don’t respond to this form of acupuncture, the remaining 85% of patients report pain reduction averages of 75%. Treatment varies depending on the individual, with most treatments progressing from once or twice a week to as seldom as once per month. In many cases, only one course of treatment is necessary. To find out more about how acupuncture can help you, including battlefield acupuncture, contact Acupuncture That Works today on 0800 051 76 88.